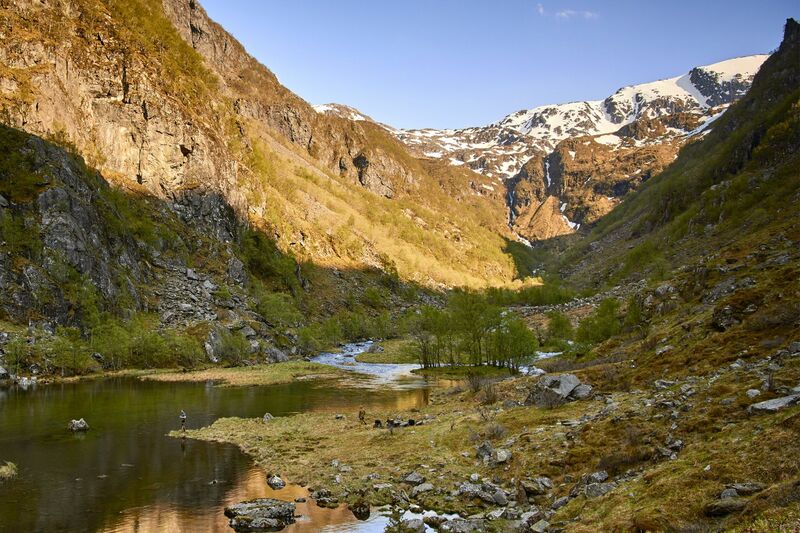 Clothes for hunting need to be silent and blend in with the surroundings, and clothes for active hunting in the Nordics need to be both waterproof to withstand the rough weather conditions during autumn and winter and breathable to allow for the regulation of body heat when the hunter moves in the alpine landscape. We have designed a full layering system with a long cut C7 PARKA and PANTS as protective shell, T1 MIDLAYER for warmth and T2 BASE LAYER for next-to-skin insulation. 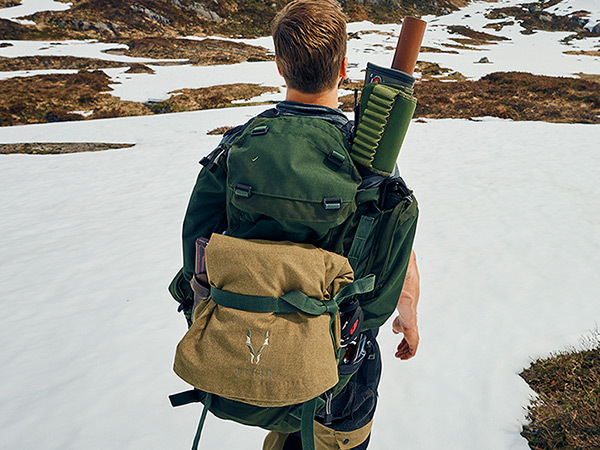 The S1 SITTING MAT fits the back pocket of the parka for the long waits on a hunt. The jacket includes direct safety features such as red liner in the hood for visibility/locator beacon in emergency situations. The length of the jacket offers good protection in rough weather conditions. The adjustable width of the jacket allows for adding extra layers – fleece or down/fiber insulation performs best if it is not collapsed or compressed. Both the women’s and men’s styles are designed to interact and complement one another on length, safety features, and integrated functionalities. 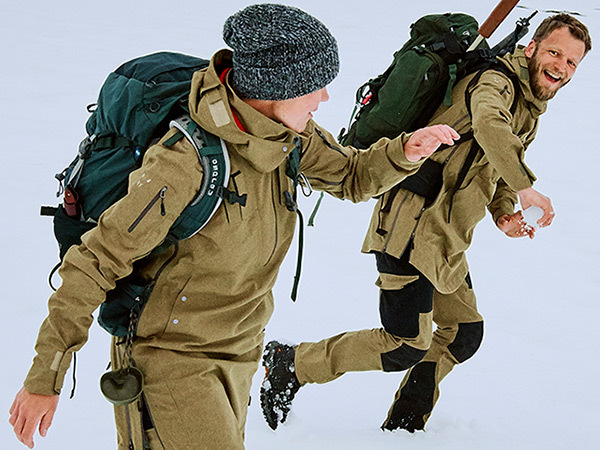 C7 Parka and Pants are made from eVent® DV Alpine membrane with a matte woven surface to reduce noise and a special green colour to blend in with the Nordic landscape. The side zippers allow for optimal freedom of movement but without compromising the comfort of the length and the protection given by a long parka. The 3-glider full length side zippers and the deep collar openings on the parka and fleece allow for ventilation when the activity is high and the membrane isn’t enough. With 3 sliders, your waist belt fits easily inside the parka on the front. Two extra extension side zippers add more room in the jacket when extra layers are needed. The base layer and fleece have similar lengths and combined, gives optimal comfort and protection. The hood is designed with integrated adjustment at the front. The sides are curved to allow for larger field of vision. All pockets are secured with zippers and combined with added depth and smaller entry size, it will prevent losing bits and pieces even though the user forgets to close/zip it. The length and tight shaped fit provides lee and reduces the thermal bridge from below without strapping the jacket in the waist or at the bottom. 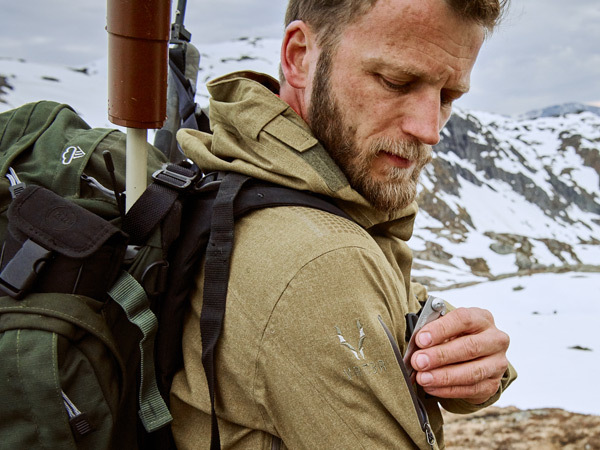 The design of the jacket is inspired by original polar expedition and hunting clothes combined with the traditional Norwegian/Nordic parka/anorak where length and tight fit gives optimal protection in harsh weather conditions.